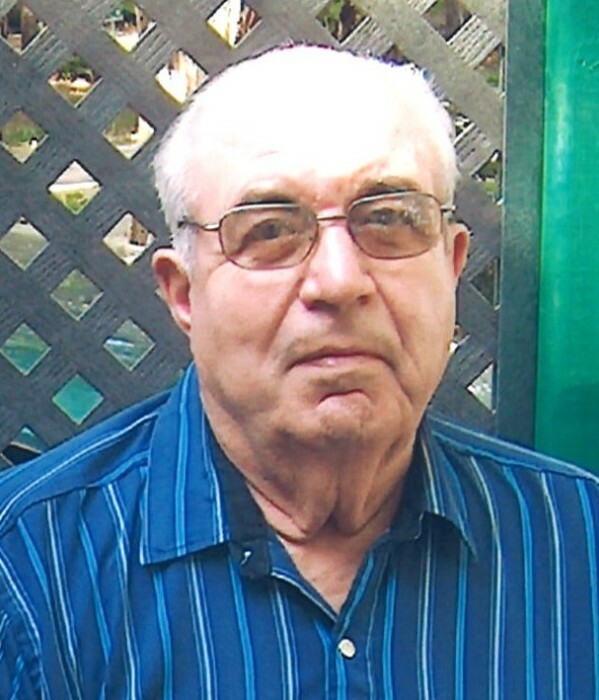 Peter Pana of Calgary, beloved husband of Elsie Pana (deceased) passed away peacefully on Monday, April 1, 2019 at the age of 84 years. Peter was born on August 24, 1934 in Assiniboia, Saskatchewan. He is the second youngest of 13 kids and is a twin. Young Peter left grade school to work on his dad’s farm in Wood Mountain, Saskatchewan. Later he met Elsie Melnyk in Wood Mountain where she was working as a secretary, on June 2, 1956, they married and started a family right away in Saskatoon. Peter worked at the Saskatchewan Wheat Pool on a grain elevator and then sold life insurance for Prudential. They moved to BC for a while but settled in Calgary in 1964. Peter was the proud owner and founder of Kingsland Concrete where he did construction and concrete work until he retired at the age of 55. Peter, who called himself Fix-it-Mister enjoyed wood working, tinkering with things and reinventing items. He was light-hearted and witty. Peter enjoyed playing horse shoes, tug-o-war and together him and Elsie would spend many hours playing cards and trading jokes with friends and family. He is predeceased by his wife Elsie and son Lyndon; his parents, Vasile & Florea Pana; brother John (Mary) Pana; sisters, Aurelia (Conrad) Istrati, and Fanny (George) Chiro and Eugenia (John) Oancia; and brother George Pana. Peter is survived by his sons, Lawrence of Calgary, Lonny (Noria) of Langdon, Lance (Veronica) of Sundre, daughter Lorelei (David) of Calgary; and daughter in law, Carol of Calgary; grandchildren, Ashli (Kyle) of Lake Cowichan BC, Jessica (Michael) of Banff, Logan of Sundre and great granddaughter, Athena of Lake Cowichan BC; step grandson Harid of Langdon; sisters, Victoria MacIntosh and Anna Woods; brothers, Nick (Lucille) Pana and Billie (Mimi) Pana; As well as numerous nieces, nephews and cousins. Peter will be greatly missed and will always be known for his sense of humour and love of family.